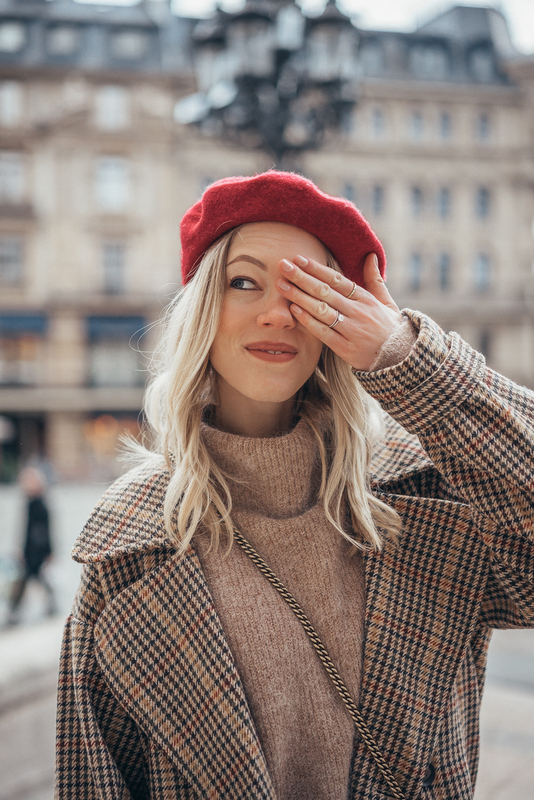 Thanks to Instagram & Co, hardly any other accessory has conquered the hearts as quickly as the French hat, which was reinterpreted at the Dior Fall 2017 Runway Show. 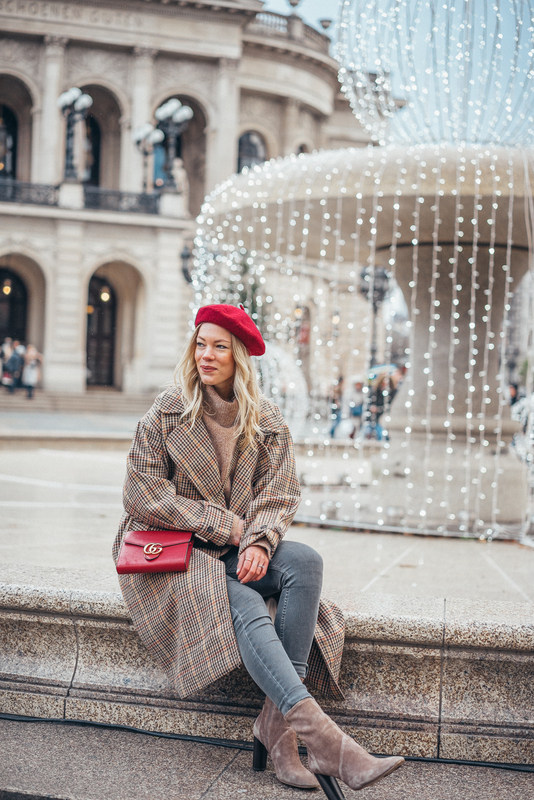 The beret can be worn in so many different ways and that’s what fascinated and inspired me to style today’s outfit. Honestly, at first I was not so sure if I liked this Parisian trend, not least because I want to distance myself a bit more from the typical girly looks. 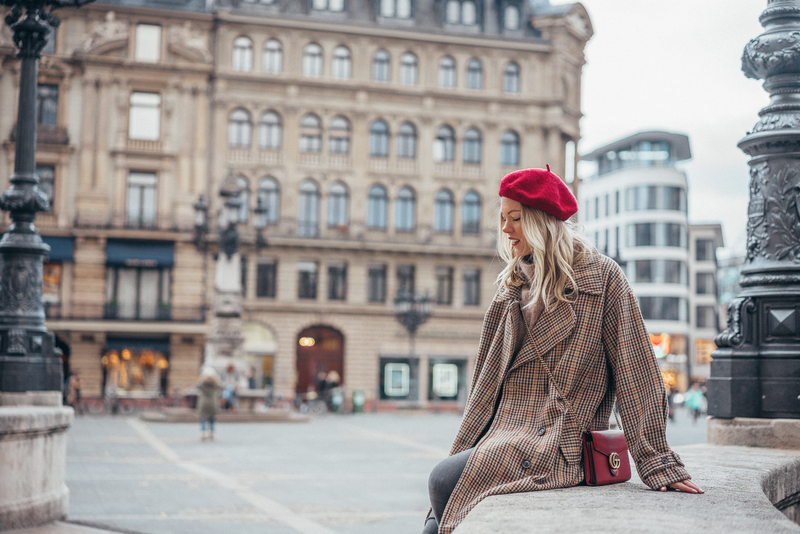 When I was in Frankfurt and had the chance to go shopping in real life and not only online shopping, I could not get past the stylish berets. 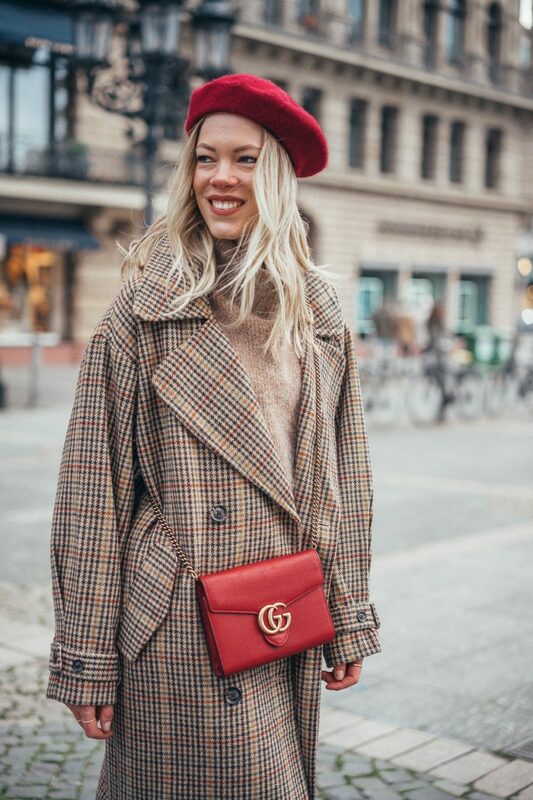 I tried on a few different models and finally decided to go with a statement piece in red. 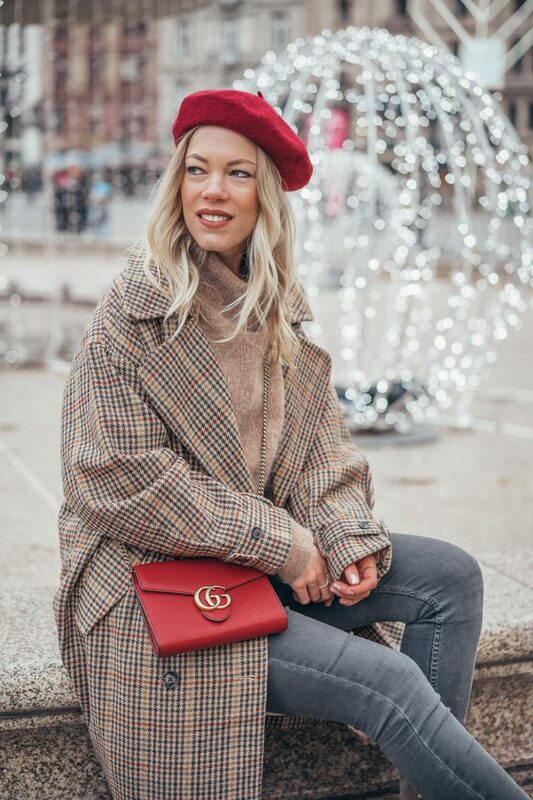 A beret is the perfect accessory to add a bit of color to an everyday look and to bring a touch of Paris to your wardrobe and home. Last but not least, I think a beret can be styled both sweet and cool. 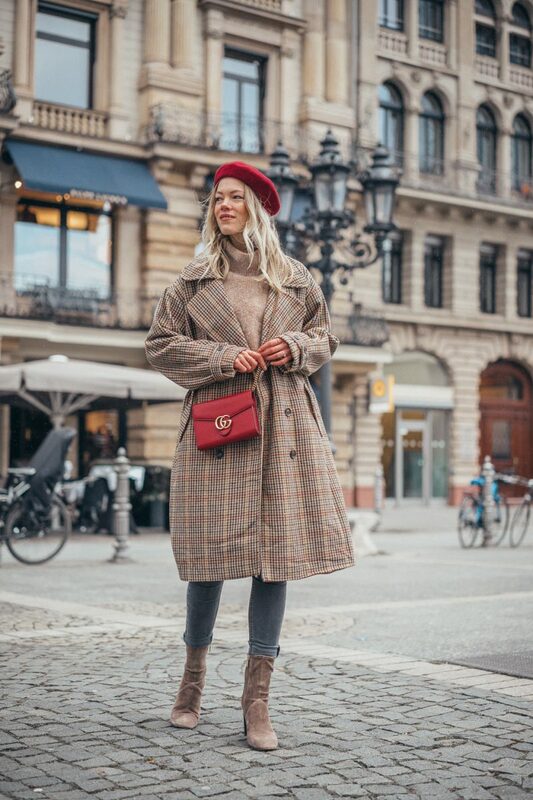 I’ve combined my red beret to a casual oversized plaid coat, oversized jumper and skinny jeans. Matching colors by adding my little Gucci Marmont and ready is the ‘cool french girl look’.